Healthy diets for men. You can learn the guidelines to help you build lean muscle mass and burn belly fat. Male belly fat is both a health timebomb and a complete turn-off to women. You do NOT need it! Here's the reality of getting rid of flab and soft flesh...and replacing those areas with muscle. It will take TIME, focused EFFORT, and most of all...CONSCIOUS EATING. 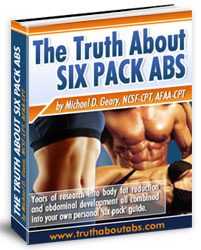 * It took time to accumulate layers of fat and it will take time to get rid of them. Forget about looking like an NFL defensive back in 12-15 weeks. It won't happen. To look like an athlete, you must start eating and working out like one. Their bodies took years to look like that. * Conscious eating means you know EXACTLY what you are putting in your mouth throughout the day. You know the consequences. You continually ask yourself, "Will this food definitely create lean muscle tissue, or will it just cover my abs with a layer of fat?" * Stay completely away from smoothies and protein shakes. You'll just end up adding more fat to your waist. * Have good awareness about what social situations completely blow up all of your hard work to burn belly fat. A couple of nights of pizza, wings and beer with your buddies will sabotage even the best conceived fat loss plan. * Start drinking more water, especially 15-20 minutes prior to each meal. Drinking water to lose weight is a solid strategy, but it is only one element in comprehensive program. * Healthy diets for men MUST include components of weight training and cardio. Both of these activities accelerate fat loss, but they CANNOT overcome a poor diet. Weight lifting for fat loss is a valid strategy, as are interval training workouts. How can strength building workouts help you burn belly fat?